Subs in the Sukkah. Sunday evening Sep. 23. No Charge. Suggested donation $5 per person Evening holiday Dinner. Monday Sep. 24 8:00 pm. $18 per person. 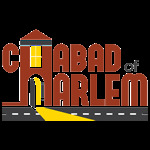 $36 per family Shabbat Chol Hamoed Dinner. Friday Sep. 28 7:15 pm. $18 per serson. $36 per family. Shmini Atzeret Dinner in the Sukkah. Sunday Sep. 30 7:15 pm. No Charge.